Over a decade of work finally came to fruition for Avery Broderick, who works to unravel the mysteries of the universe. 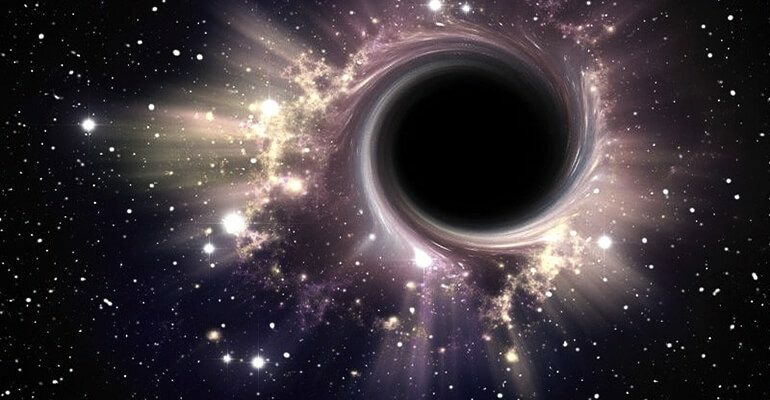 Broderick, an associate faculty member at UW and the Perimeter Institute for Theoretical Physics, found evidence for his theory about black holes this October. Using the state-of-the-art technology of the GRAVITY Collaboration, Broderick was able to find evidence for how black holes grow and consume the matter around them. In 2005, Broderick and his colleague Avi Loeb, theorized that flares from black holes were caused by two phenomena: the bending of light around the black hole and the generation of hot spots by magnetic reconfigurations. GRAVITY was able to detect the emissions of such flares from the black hole Sagittarius A* (Sgr A*), and scientists were able to see where it was growing. The flares in question were observed earlier this year by the European Southern Observatory’s Very Large Telescope in Chile, but could not be completely resolved. GRAVITY detected the emissions of the hotspots around the supermassive black hole. “We believed [that] if flare timescales were close to orbital timescales around a black hole, they could actually represent bright features that were embedded within the accretion disk and help us understand the behaviour and growth of black holes,” Broderick said. Broderick hopes that this increased understanding of black holes can help further understanding of the nature of gravity. “The lives of black holes have become substantially more clear today. My hope is that the same features seen by GRAVITY will be imaged in the near future, allowing us to unlock the nature of gravity. I’m optimistic that we won’t have long to wait,” he said.